Alexander Weygers is known by his popular books:The Making of Tools, The Modern Blacksmith, and The Recycling, Use,& Repair of Tools. All of these books were published in the 70's but are considered by metalsmithing enthusiasts to be among the few bibles of their craft. Even though these books are now out of print they are still as popular as ever, if you can find one. It is now possible to posses them all in this new volume titled, THE COMPLETE MODERN BLACKSMITH, published in 1997 by Ten Speed Press of Berkeley, California. >>>>With such wide-ranging wealth of talent its not surprising that throughout his life Alexander Weygers was pursued for his expertise. >>>>The opportunity to learn from an artist of his caliber is rare. Its even rarer that a master artist puts pen to paper to describe in detail his theory of and approach to art. Sculpture, Form, and Philosophy is an extraordinary treat, a glimpse into the mind and technique of a true artistic genius. 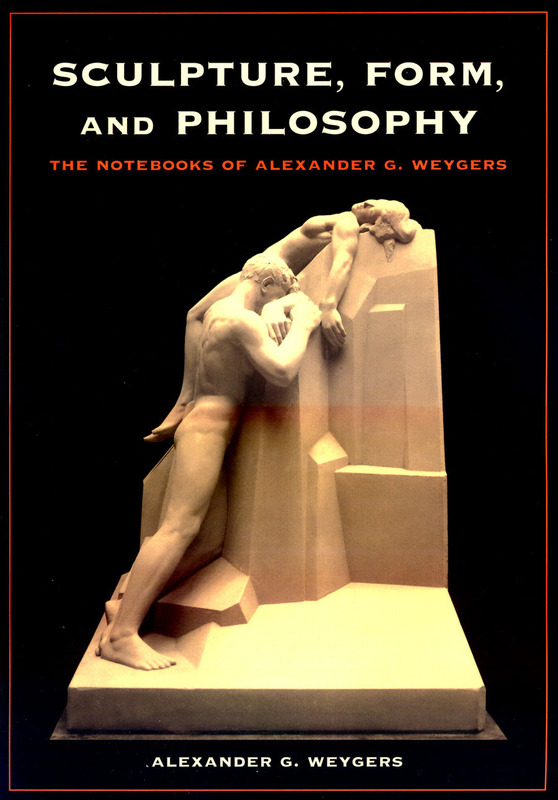 Weygers hands-on instructional aid encourages students to delve into the philosophy behind their art, and delivers a personal, practical, and philosophical guide to the fine art of sculpting. >>>>From studio setup, materials, and tools to applied theory and technique, Sculpture, Form, and Philosophy walks artists through the creative process enabling the student to aim for that highest attainment: becoming a complete sculptor and free thinker in the arts. Featuring detailed descriptions for clay modeling, plaster casting, and direct carving in wood and stone, as well as a complete analysis of 19 of Weygers sculptures, this fascinating study is as comprehensive as any beginning or seasoned artist could want. >>>>With Weygers clearly defined Form Theory artists can control every phase of the creative process and produce, purposefully and not accidentally, subtle expression without reliance on sketches, models, or measuring devices. Sculpture, Form, and Philosophy offers freedom and independence in artistic creation. With this exceptional resource an artists hands become the servants of his mind. Alexander G. Weygers was born to Dutch parents in Java, Indonesia, in 1901. He began his career as an engineer and, through schooling and private apprenticeship, slowly developed into a multi-disciplined artist, with a focus on sculpting. His later years were spent compiling the illustrations, photographs, and text that would describe his lifes work. Besides Sculpture, Form, and Philosophy he is also author of The Complete Modern Blacksmith. He passed away in 1989, in Carmel Valley, California, where he had made his home and studio for almost 50 years. For more information about Weygers and his work visit www.alexweygers.com. Peter Partch, who was destined to become one of Weygers most accomplished protégés, is available to talk about working alongside and learning from this extraordinary artist.